There are very few things that could possibly be more frightening than to be inside of a building as its roof collapses into itself. Construction workers are exposed to dangerous conditions on a daily basis and must not only take safety precautions of their own but be aware of their surroundings and the actions of their coworkers as well. About ten percent of construction workers experience an injury that requires time off of work each year and roof collapses often leave victims unable to work for extended periods— if they are fortunate enough to escape catastrophic harm. It is the responsibility of their employers to provide compensation when they are hurt so that their medical bills don’t cause financial ruin. 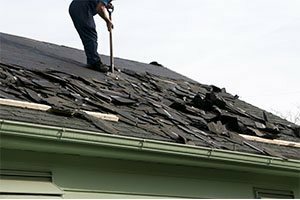 Victims harmed during a roof collapse may experience numerous types of injuries of varying severities depending on their proximity to the roof or other falling objects at the time of the accident. Safety equipment is designed not only to prevent injuries but may also limit just how severe the injuries suffered happen to be. Wearing a helmet or a harness, for example can be the difference between life and death. The types of injuries that may be sustained in a roof collapse include the following. Broken or shattered bones— if debris or large objects cave in and bury a person beneath, the blunt force of impact may break or crush bones. In severe cases, multiple surgeries and extensive therapy may be required to restore the complete use of the affected limb or joint. Lacerations— debris, metal and glass are all capable of causing unthinkable harm as their sharp edges may puncture or slice into flesh with undiscriminating wrath. In addition to severe blood loss, those suffering from deep lacerations may lose limbs due to infections or the need to amputate in order to save the victim’s life. Traumatic brain injury— a great number of construction injuries are the result of falling objects and when a roof collapses, objects are falling from every direction. If anyone is struck in the head by a falling object, he or she may experience or be at risk of experiencing any number of neurological effects that range from simple concussions to more severe trauma. The force exerted in a roof collapse tends to exacerbate the severity of injuries and victims struck in the head often experience brain damage that exhibits itself through a loss of motor or oral function, partial paralysis, loss of memory, inability to concentrate or the development of neurological disorders. Paralysis— if a worker falls off of a roof while it collapses or is crushed beneath the weight of the debris of a cave in, he or she may experience a spinal injury. The cost of caring for someone with paralysis is extensive and the loss of his or her prior quality of life is often an emotional and financial burden. Wrongful death— many roof collapses claim multiple lives as the victims are often completely crushed by the weight of the structures falling down on top of them. Their families deserve compensation via a wrongful death lawsuit in order to replace the income their loved one once provided as well as for the loss of consortium that has resulted from no longer having the loved one around. If you or someone you love has been involved in a roof collapse, contact the Rosenfeld Injury Lawyers LLC today to learn more about your rights during a free consultation. Regardless of whether your employer is found to be negligent, you are entitled to compensation following any workplace injury and our attorneys will be happy to investigate the cause of your accident and help you pursue every legal avenue available to maximize the amount of compensation you are able to recover for the payment of your medical bills, out of pocket expenses, loss of income and your pain and suffering. Our lawyers place the needs of every client ahead of their own and will never require payment upfront for our services— we will only collect if we collect for you.